Verre Select Doors 101 | Brock Doors & Windows Ltd. Brock Doors & Windows Ltd. Verre Select Doors 101 | Brock Doors & Windows Ltd. Your front door has many important jobs so it’s essential to ensure that you get a quality, top-performing door that will serve as an energy efficient investment for your Toronto home. If your door is poorly insulated it will make your whole house drafty and cause your utility bills to rise. A new front door can do wonders for your home’s performance and appearance. And that’s not all. 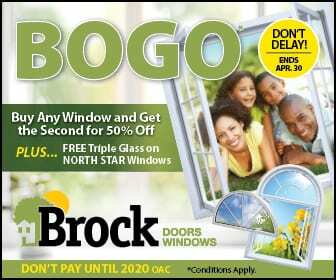 Verre Select doors from Brock Doors and Windows are your home’s solution for durability, beauty and energy efficiency! They offer you the best combination of security, performance and value, and rival even top-of-the-line wood front doors for beauty. Verre Select rises above the competition with their mastery of light. Verre Select entry doors are original and diverse, and feature welded and non-welded, decorative glass, silkscreen and also cast glass. Variety – Verre Select was established in 1980, and since then they have stood out as a top manufacturer of decorative glass. Over the past 30 years we have become known for our quality products, and today we create trends by continuously expanding our range of products. We produce decorative glass doors of all kinds, and Novobois and Climatecs fiberglass doors, which look and feel just like real wood. All Verre Select entry doors are Energy Star certified and they lend a stylish and elegant atmosphere to your home. Another unique aspect of Verre Select is that they specialize in custom order jobs, which can significantly boost your curb appeal and house’s value. Maintenance – Fiberglass has huge advantages over other materials like steel and wood. Moisture absorption causes wood doors to twist and warp over a period of time, but fiberglass retains its integrity even in very hot or very cold conditions, and it will never rot. Fiberglass entry doors by Verre Select require almost no maintenance, even less than steel. Eventually, even the best-made steel doors will succumb to rot when exposed to the elements. Fiberglass entry doors from Verre Select will do no such thing, and in fact, they will last for years and years looking as good as new. Energy Efficiency – One huge benefit of Verre Select doors from Brock Doors and Windows is their energy efficiency. 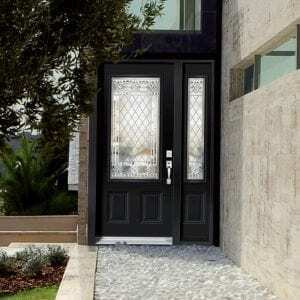 Verre Select fiberglass entry doors offer many cold weather benefits, which is a huge advantage for Toronto homeowners. When you compare fiberglass with the other materials, it’s easy to see why fiberglass comes in first. Unlike steel, fiberglass is an excellent insulator, and even if it’s very hot or cold outside, you won’t be able to feel this if you touch the inside of your Verre Select doors. They are masters at keeping the bad weather out and the nice temperatures in. In addition to Verre Select, Brock Doors and Windows also offers other supreme doors like Dorplex, Fusion, and many more. Remember, your investment in a new entry door for your Toronto home is a big one, so when you choose Verre Select you are making it count!